Full PR Support Canada & U.S.
What are cities for? How do they really work? What makes them great — or not? What does our urban future hold? There may not be such a thing as a perfect city, but all great cities have moments of perfection — perfect streets or buildings, perfect places to raise a family or to relax with a coffee — and all of them strive for perfection when they undertake grand projects. Cities, more than ever, are the engines of our economies and the ecosystems in which our lives play out, which makes questions about the perfectibility of urban life all the more urgent. 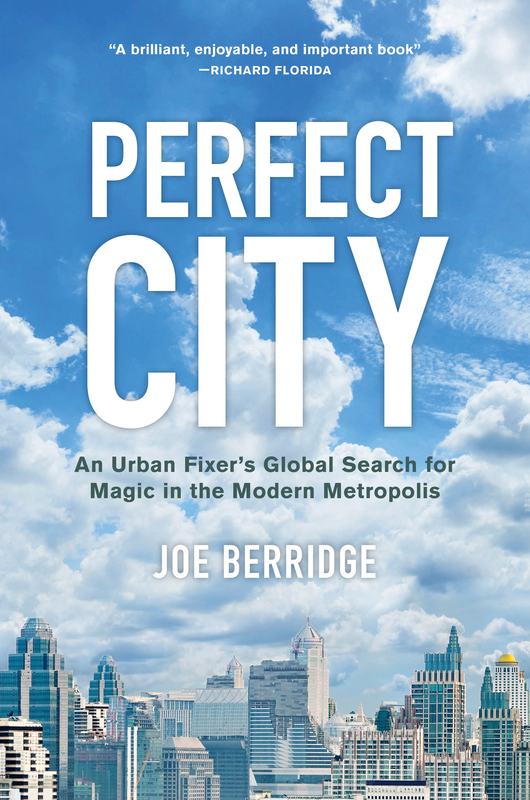 Joe Berridge, one of the world’s leading urban planners, takes us on an insider’s tour of the world’s largest and most diverse cities, from New York to London, Shanghai to Singapore, Toronto to Sydney, to examine what is working and not working, what is promising and what needs to be fixed in the contemporary megalopolis. We meet the people, politicians, and thinkers at the cutting edge of global city-making, and share their struggles and successes. We visit a succession of great urban innovations, stop by many of Joe’s favorite restaurants, and leave with a startling view of the magical urban future that awaits us all. JOE BERRIDGE has played a key role in some of the largest and most complex urban regeneration campaigns in the world. He is an accomplished masterplanner of city centres, airports, waterfronts, and university campuses, with landmark projects in world capitals like New York City, London, and Toronto.